According to The Stanford Daily, the new facility was created by tearing down the already existing men’s and women’s locker rooms. Now instead there are three private showers with changing rooms, one dry changing room, five private bathroom stalls, and day-use lockers. Men and women will now share the same facility. Rebecca Carpenter, Assistant Athletic Director for Facilities and Operations, stated that the Stanford community has been “more vocal about all-gender spaces” in recent years. “We’ve had a handful of faculty, staff and students meet with us about inclusive opportunities within recreation facilities,” Carpenter said. The new facilities are in keeping with Stanford’s goal of having “gender-inclusive” single-occupancy restrooms in all buildings by the year 2020. Present at the open house were a number of groups who have partnered with Stanford to complete the project, including the Weiland Health Initiative. Weiland’s stated mission is “to promote mental health and wellness across the spectrum of gender identities and sexual orientations through education, training and clinical services at Stanford and beyond.” The initiative is responsible for Gender Inclusive Stanford. 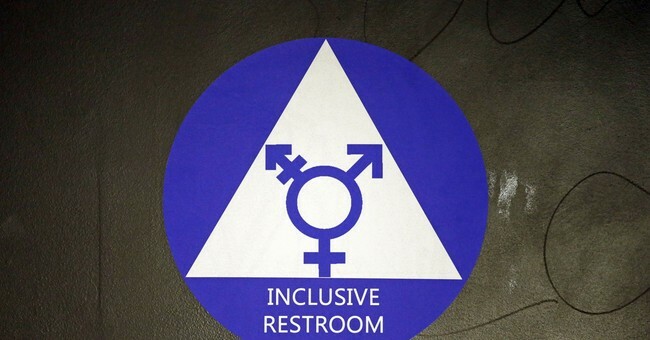 “One of the projects that has been going on for a while is increasing the number of gender-inclusive bathrooms or changing facilities at gyms that are available on campus,” Weiland Health Associate and student Caroline Zha said. Students at Stanford are also apparently concerned about areas on campus where people might be wearing athletic clothing. “Athletic facilities can really be a place of high stress, and so having the gender-neutral locker room is definitely a positive step in helping to alleviate that,” Radecki added. And for some at Stanford, these latest measures have not gone far enough. “As of currently, many of us in the queer community often feel reluctant to engage in spaces like the AOERC because we feel out of place, stared at, or just generally alienated by the space itself,” Alvarez wrote.